Ubuntu will work with your existing PC files, printers, cameras, music players and smartphones - and it comes with thousands of free apps. Our long-term support (LTS) releases are supported for five years – ideal for organisations undertaking large deployments. To install Ubuntu, you’ll need to create an installation CD or USB stick once your download is complete. If you are interested in giving Ubuntu 12 a try on your current computer without running any risk, please check out our Guide: Running Linux From a USB Drive As a Virtual Machine or Bootable Disk. Put the Ubuntu CD into the CD/DVD-drive. Restart your computer. You should see a welcome screen prompting you to choose your language and giving you the option to install Ubuntu or try it from the CD. If you don't get this menu, read the booting from the CD guide for more information. If you are not connected to the internet, you will be asked to select a wireless network, if available. We advise you to connect during the installation so we can ensure your machine is up to date. So, if you set up your wireless network at this point, it’s worth then clicking the Back button to go back to the last screen (Preparing to install Ubuntu) and ticking the box marked ‘Download updates while installing’. Not sure about this step? Windows users can use the Windows installer, which will install and uninstall Ubuntu in the same way as any other Windows application. It's simpler and completely safe. If you are connected to the internet, this should be done automatically. Check your location is correct and click 'Forward' to proceed. If you're unsure of your time zone, type the name of the town you're in or click on the map and we'll help you find it. Click on the language option you need. If you’re not sure, click the ‘Detect Keyboard Layout’ button for help. Learn more about Ubuntu while the system installs… or make a cup of tea! LibreOffice has been updated to 3.5.2. Files (Nautilus) now has undo support. Several games have been modernized with useful help, simplified menus, and a less cluttered interface. Rebase to upstream stable Linux kernel v3.2.14. The amd64 -generic and -server kernel flavors have been merged into a single -generic kernel flavor for Ubuntu 12.04. Given the few differences that existed between the two flavors, it only made sense to merge the two and reduce the overall maintenance burden over the life of this LTS release. Support for a new armhf kernel flavor has been introduced. The non-smp PowerPC kernel flavor has been removed. All hardware currently supported by the non-smp PowerPC kernel flavor should also be supported by the smp PowerPC kernel flavor. RC6 is enabled by default for Sandy Bridge systems. RC6 is a technology which allows the GPU to go into a very low power consumption state when the GPU is idle (down to 0W). It results in considerable power savings when this stage is activated. When comparing under idle loads with machine state where RC6 is disabled, improved power usage of around 40-60% has been witnessed. An improved set of jack detection patches has been backported from the upstream v3.3 Linux kernel. An updated AppArmor patch set has been included to better align with what is landing upstream. Applied and enabled the seccomp filters feature which uses the packet filtering machinery (BPF) to restrict access to system calls. A set of kexec fixes for arm from v3.3-rc1 has also been backported. 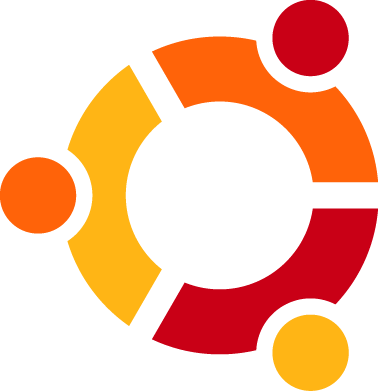 We've also conducted an extensive review of Ubuntu kernel configs and made numerous config changes as a result.